If you use an iPhone, iPad or iPod, you should sync your files with iTunes regularly to secure your data. Here we will show you how to sync your iOS devices with iTunes. There are two ways for you to sync your iPhone with iTunes: use USB cable and use the Wi-Fi. First, you need to download and run the latest iTunes from the official website. You need to sign in iTunes. Second, use a USB cable to connect your iPhone to the computer. Then the iTunes will ask you that “Do you want to allow the computer to access information on your iPhone?” Click the Continue button. Then, click the Phone icon on the top left-side bar. On the left side, it lists all the content types that you can sync from your iTunes library to your device. On the right side is the detailed information about your device: the capacity, iOS Version, Serial Number, Backups and so on. Click the content you want to sync. 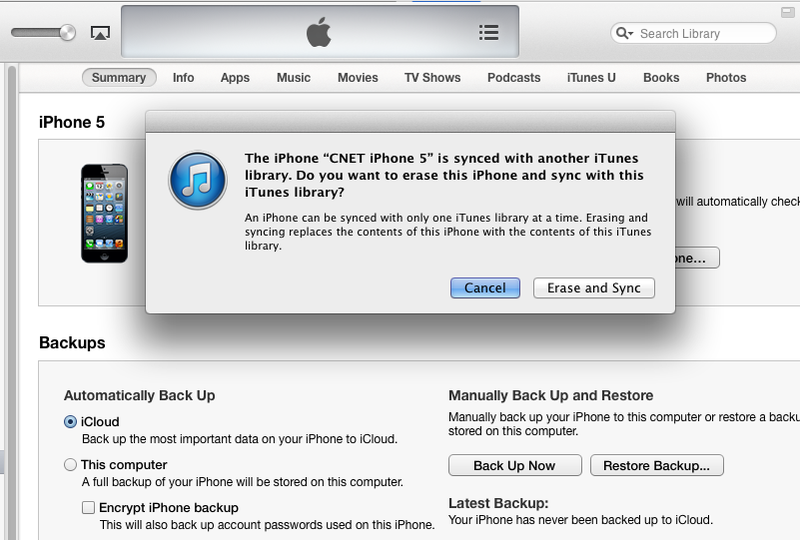 How to backup your iPhone to iTunes? Click the File tab on the top left side, choose Devices > Back up. It will start to sync your iPhone with iTunes immediately. It will take a long time if you have too many data on your phone. After you have backed up or sync your data to iPhone, you can easily restore them from iTunes at any time. 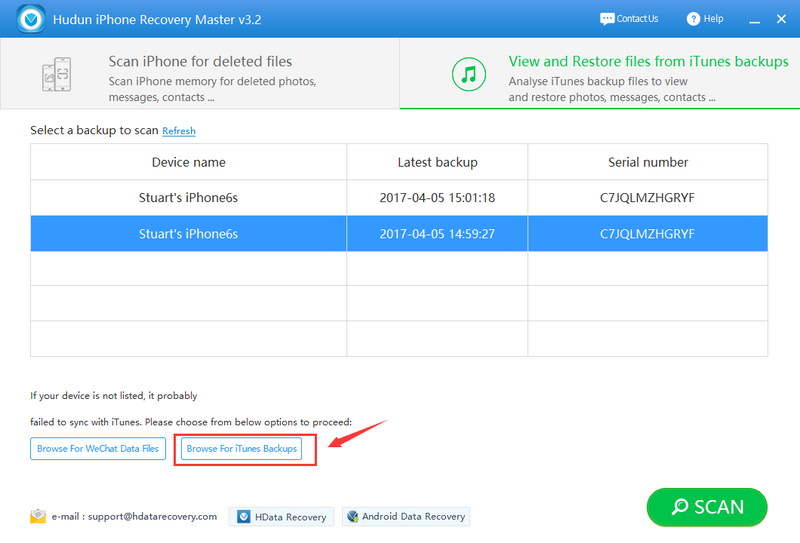 If you have not sync your data to iCloud or iTunes, you need to use an iPhone data recovery tool to retrieve your data. H Data iPhone Recovery software is a tool designed for all iPhone users to restore the lost data. You can use this software to recover directly from the iPhone or from iTunes backup. How to restore files from iTunes backups after data loss? If the files lost have not been backed up to iTunes, you need to back up the entire iPhone to iTunes first, and then to use the data recovery software to analyze iTunes backup files to restore your lost data. Connect your device with computer and check if the data recovery software can detect it. If not, you need to refresh or check the USB cable. Until it displays in the lists, you can start to recover. Choose the recovery module of View and Restore files from iTunes backups and check the correct device to scan. You can figure according to the latest backup time and the Serial number. After the scan, you can find all the recovered contents on the left side. Check and preview the files. The files lost are displayed in red. You can check the box “hide existed” to display the files that not on your device now. Check the files you need to recover and click the button of Export Selected Records. You are required to choose a location to save the recovered data.